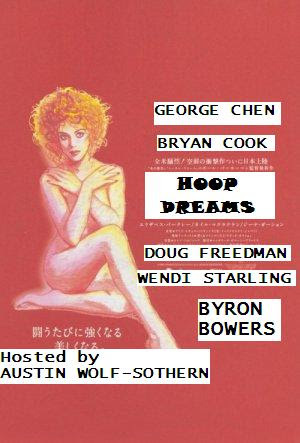 Hoop Dreams Comedy Hour! Wednesday, March 20! There is very little information on this flyer because I threw it together very quickly with MS Paint! There may be some surprise performers that are not advertised (there definitely will be)! I'm hosting! It's at the Neon Venus Art Theatre, 7023 Melrose Ave. in Hollywood! It starts at 10:00pm so be there by 10:15pm because we will actually start somewhat promptly at 10:30pm! It's $3!! !